Characteristics: This tool has a better hardness & will efficiently cut metal over a longer time. 58 Rockwell hardness. For use with wire 16 gauge or less. Max cut 1.3mm copper wire. 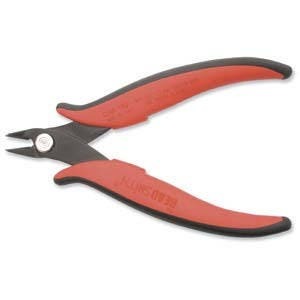 Additional Information: These cutters are not suitable for Memory Wire, Flex Wire, or Steel Wire. For memory Wire Cutters we suggest searching in Yummy Treasures for "PL2193".